Is your pet due for its next biannual or annual wellness appointment? Are you looking to get your dog or cat spayed or neutered? Your team at Rice Pet Clinic, with state of the art equipment and practices, is ready to accommodate all of your pet's needs. Please set up an appointment today and give your pet the quality healthcare they require to stay healthy. In order to provide our patients with the highest quality care, we operate primarily by appointment. However, to better serve our clients we do offer drop-off appointments. We do ask that new clients or current clients with new animals arrive 15 minutes prior to the time of their appointment to fill out some paperwork. For your convenience, the new forms can be printed off of this site and filled out in advance. See the “Clinic Policies and Forms” section of this website under the “About Our Clinic” tab. 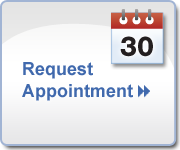 If for any reason you are unable to make it to your scheduled appointment and a Drop-off appointment does not suit you, please call to let us know and we would be happy to reschedule it for a time that works better for you. We make drop-off appointments available for the convenience of our clients. This means our clients can bring their pet at the time that works best for them and leave your pet with us for a couple of hours. Usually we ask that our clients call first and drop the pet off sometime in the morning so our doctors can examine the patient in between appointments or at the time purposely reserved for admitted patients. Once the doctor has completed the examination, he or she will call to discuss the diagnosis and aftercare. Emergency patients will always receive top priority, which can occasionally cause delays to other appointments. We do make an honest attempt to see each client and patient at their scheduled time, and we apologize for any delays.